Kwon Yool to star in "Lucid Dream - Short Film"
Kwon Yool has finished making the 3D movie "Lucid Dream - Short Film". "Lucid Dream - Short Film" is a fantasy action film in which the main character looks for his true identity. Dreams and unconsciousness is expressed in 3D through agents who carry out the mission in the film. Kwon Yool takes on the role of Ji-sup, a veteran agent who enters the dreams of clients who can't wake up from their unconsciousness and brings them back to dream. He has a fear of dreams and is stuck somewhere between dream and reality. 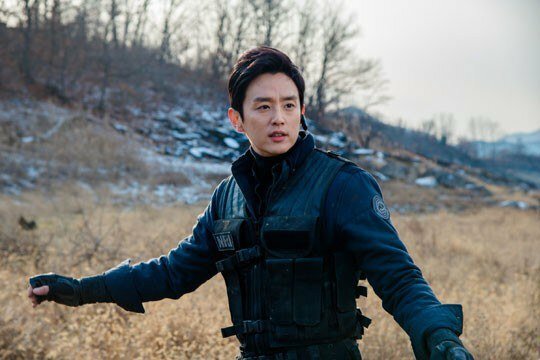 Kwon Yool is expected to perform action scenes involving guns. The Korean Film Academy 3D project started last year with producers Ryoo Seung-wan, Kim Tae-yong-I and Han Ji-seung's 3D omnibus movie, "Sinchon Zombie". This film was selected for the opening ceremony of the next Jeonju Film Festival. "Kwon Yool to star in "Lucid Dream - Short Film""
Rookie Han Do-woo to star in MBC "Make a Woman Cry"